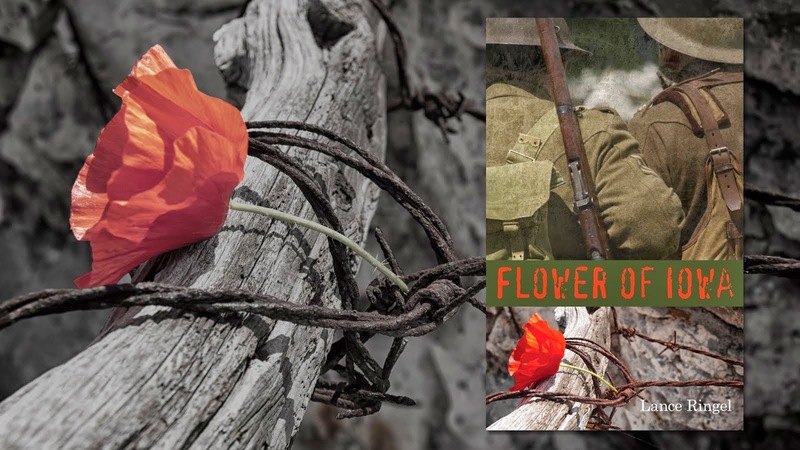 As Veterans Day 2016 approaches, I am happy to share some encouraging new developments concerning my historical novel Flower of Iowa. 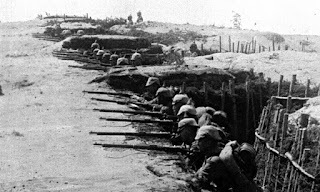 While two and a half years have passed since my book was first published, interest in this epic tale of World War I has never flagged; I still receive download order requests. At this time of year, as the holiday once known as Armistice Day draws near, public interest in the war that irrevocably transformed the entire world resurges. Unexpectedly and without any publicity, Flower of Iowa rebounded back onto the Smashwords best-seller lists this past month. It was briefly perched in the Top 10 on both the Gay Fiction and Historical Fiction lists — and still remains in the Top 20 of both as of this writing. It’s astounding and humbling news for an eBook that was initially released in May of 2014. My spouse, actor-singer Chuck Muckle and I appeared on the Northern Berkshire Community Television program “Solutions Rising,” speaking with host Rachel Branch about Flower of Iowa, with the two of us reading selections from the book and Chuck providing appropriate WW1 music. The appearance was a direct result of our reading before Rainbow Seniors last year in Williamstown, Mass., which Rachel had attended. The program is currently being broadcast across western Massachusetts and southern Vermont at multiple times on various stations. When it is available for viewing on the web, we will post the link. This week, I am heading to Kansas City, Missouri, to attend the annual Symposium at The National WWI Museum and Memorial. 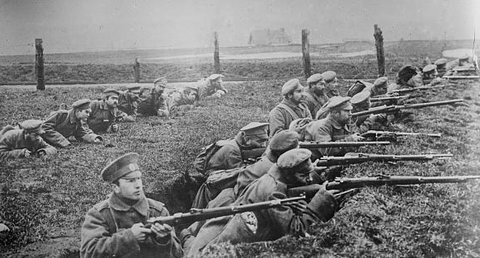 I was there for this event two of the last three years; it was bracing to be part of a group with such a keen interest in The Great War, and to hear from distinguished scholars who offered new perspectives on the conflict. I expect this year’s edition to be equally illuminating. 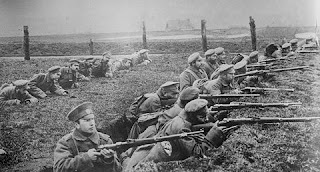 While in Kansas City, I have been invited to appear on a local radio show, “The Tenth Voice” (on KKFI 90.1 FM), to discuss the legacy of World War I, the importance of recovering and remembering gay history, and how it took two decades of research to write Flower of Iowa. “The Tenth Voice” is "the Kansas City area’s only weekly broadcast created by and for LGBTQIA people in our community." I look forward to my interview with host Philip Hooser, scheduled live for 1:00 PM CDT on Saturday, November 5, before I head back home. PLEASE NOTE: When the interview segment has been posted to the KKFI website, I will post the link here. Be sure to revisit this page within the next week! 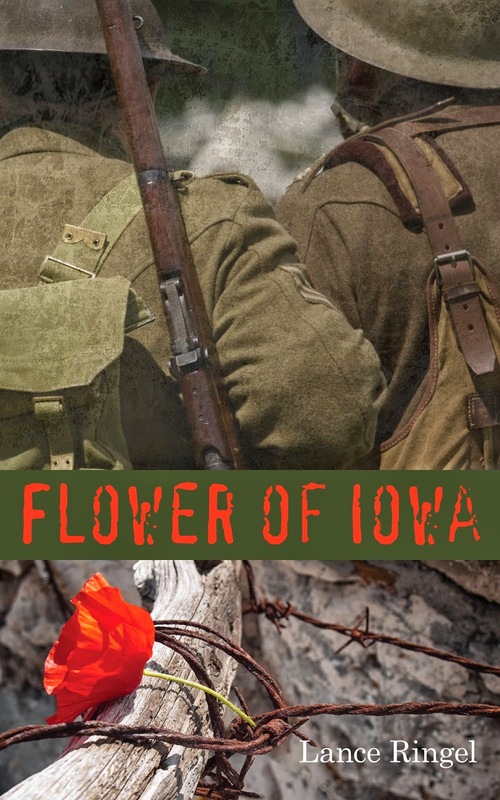 To round out what promises to be an emotional Veterans Day observation, Chuck and I will be offering our dramatized reading of Flower of Iowa for a very special group on Thursday, November 15, in New York City. Our hosts will be SAGEVets. 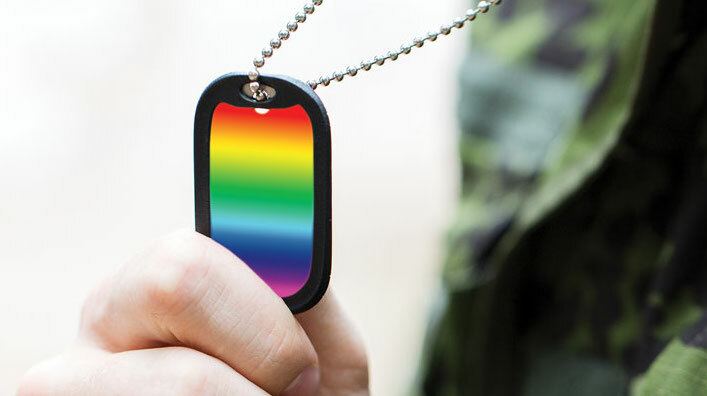 SAGEVets has an important mandate: It is a partnership between SAGE (Services & Advocacy for GLBT Elders) and the Veterans Justice/LGBT Projects of Legal Services NYC to help older lesbian, gay, bisexual and transgender people who are military service veterans improve their access to VA benefits and their overall health and wellness. The reading, which is free and open to the public, will take place at SAGE Center Midtown, located at 305 Seventh Avenue (between 27th and 28th Streets), on the 15th floor, on Thursday, November 15, from 6:30 to 7:45 p.m.
My deepest thanks to everyone who has been inspired by Flower of Iowa and to those who keep the book selling. If you still have yet to read it and would like get to know some memorable characters (so says Kirkus Reviews, not just me! ), here’s one final sales pitch: You can easily download Flower of Iowa from Smashwords to your Kindle by clicking here. To download with iBooks on your Mac or iOS device, and with iTunes on your computer, click here. For Nook users, please click here.